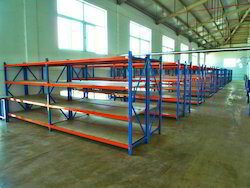 High degree of space utilization, due to the elimination of transport aisles reduced handling times short transport distances choice of aisle width compact storage with the possibility of access to every pallet location range of rack types to suit all kinds of goods to be stored. 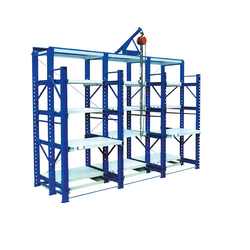 Since our inception, we are engaged in creating best quality array of Heavy Duty Storage Rack at lowest rates. Ideal for manual storage of medium sized goods. They allow optimal storage when dealing with numerous articles in small or variable amounts, and when their rotation is of a fluctuating nature. This system is easy to assemble, the main components are assembled by interlocking beams by clipping together. The system is fully flexible and levels/shelves can be changed with multiple combination.